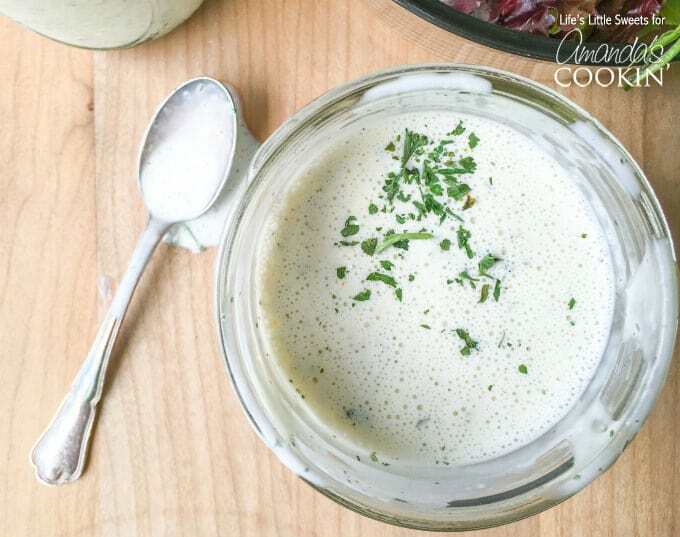 This Buttermilk Ranch Dressing is creamy, tangy and flavorful. It is the perfect accompaniment to a fresh salad or pair it with a vegetable platter for dipping. 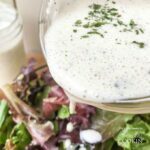 This Buttermilk Ranch Dressing recipe can be your go-to zesty dressing since it has just 10 ingredients and takes only 5 minutes to make! Buttermilk Ranch Dressing is an indulgence for me because it feels indulgent. It is so creamy and it has so much flavor, with that “tang” which makes it more interesting than any other dressing. This is a dressing that has everything, for example, zesty spices like garlic, onion and dill powder. It really makes a difference to make your own homemade dressing because it doesn’t taste processed or have extra ingredients that you do not know how to pronounce. 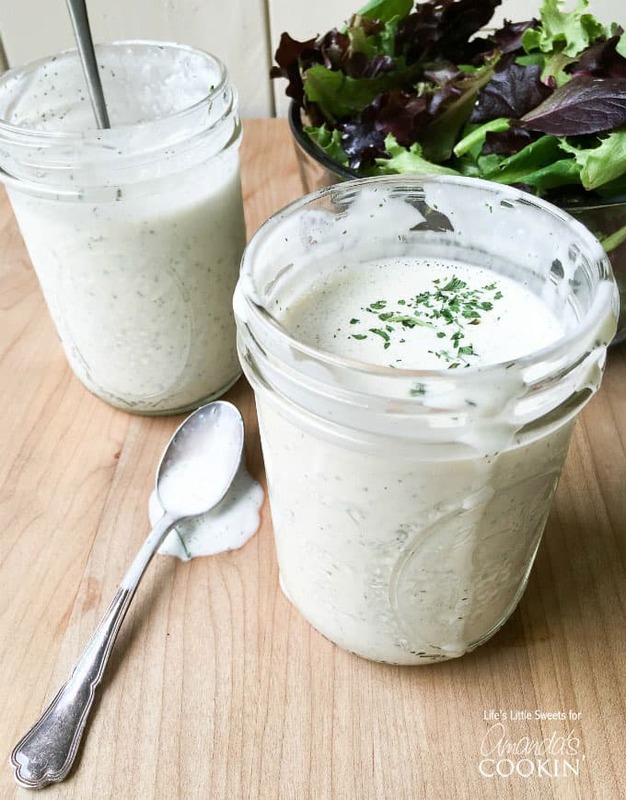 Read on to hear why this Buttermilk Ranch Dressing has a special place in my heart. 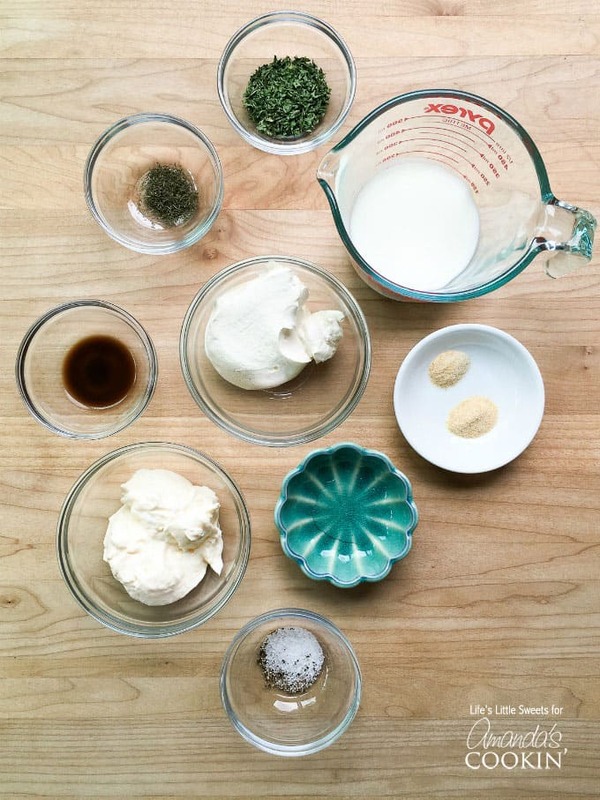 RELATED: Want to know how to make homemade ricotta is 5 minutes? Yes, you read that right! Check out this super simple 5-minute homemade ricotta cheese recipe! RELATED: if you love dips of all sorts, you’ll go crazy over this protein packed Baba Ganoush Hummus! Made from pureeing roasted eggplants- this dip will be a hit with you and your guests! Greek yogurt and sour cream: You can use the same amount of either Greek yogurt and sour cream. I have tried both with this recipe and they both taste great. Greek yogurt (any fat content that you prefer) gives you a lighter option versus sour cream and it has a nice tangy flavor that complements this recipe well. Buttermilk: If you do not have buttermilk on hand, you can put 1-1/2 teaspoons freshly squeezed lemon juice (or the same amount of white vinegar) in a wet measure, then fill to the 1/2 cup line with whole milk and allow it to stand for 5-10 minutes. You can use other reduced fat milks if you want but it might be less creamy. 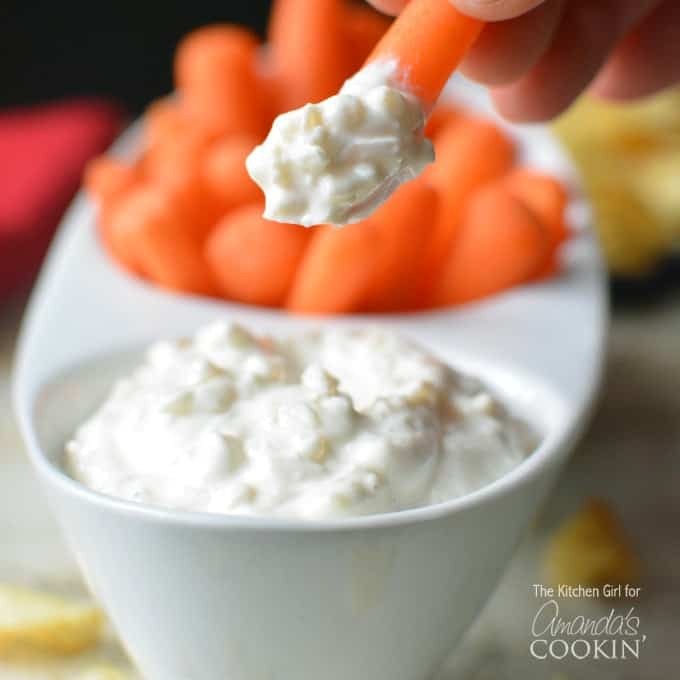 This recipe is inspired by The Best Homemade Buttermilk Ranch Dressing from 5 Heart Home and also makes a perfect vegetable dip! Let me explain why this Buttermilk Ranch Dressing has a special place in my heart. When I was pregnant with my daughter, I was absolutely addicted to Chick fil A’s “Buttermilk Ranch Sauce.” I think their sandwiches and their amazing waffle fries are really just vehicles for their sauces! My “post-pregnancy” self still adores that sauce and that tangy, buttermilk ranch flavor is something I will always crave. 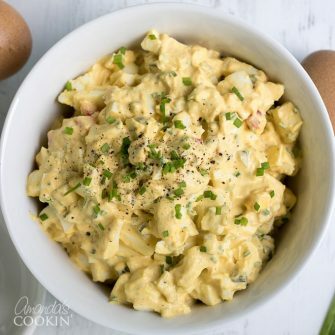 This recipe has more of a zesty kick compared to Chick fil A’s and it tastes so clean, it’s very creamy. 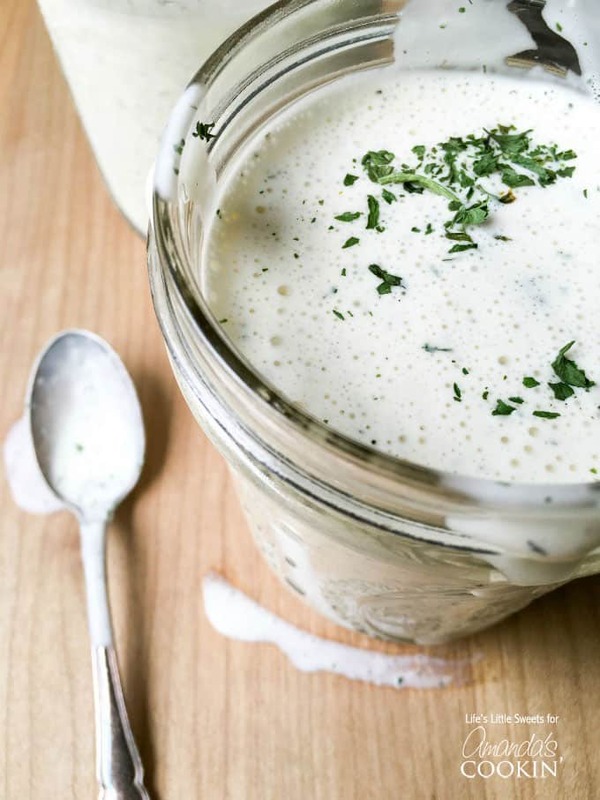 I am like, “Chik fil A – what?” when I have this Buttermilk Ranch Dressing in front of me! 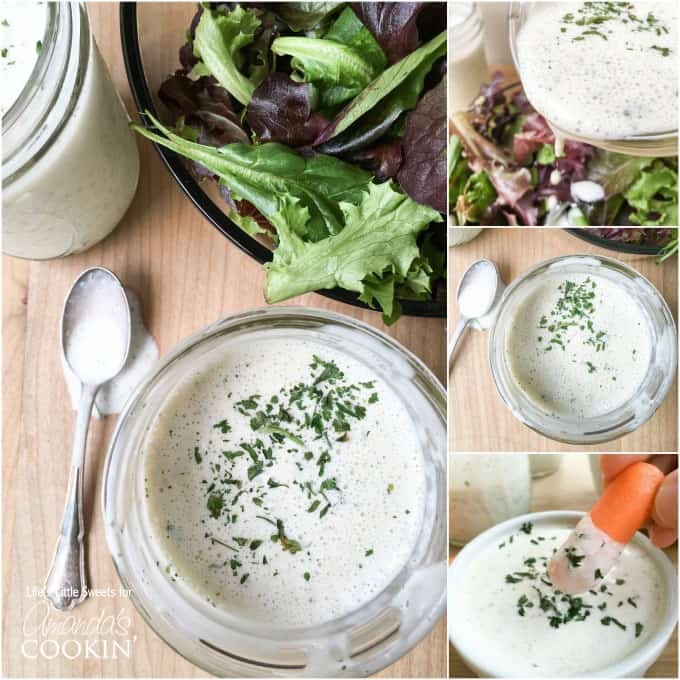 This Buttermilk Ranch Dressing can be made and used right away but I feel that really sings when it has been in the refrigerator overnight or for at least 4+ hours. The extra time allows the spices to hydrate, marinate together and thicken nicely. 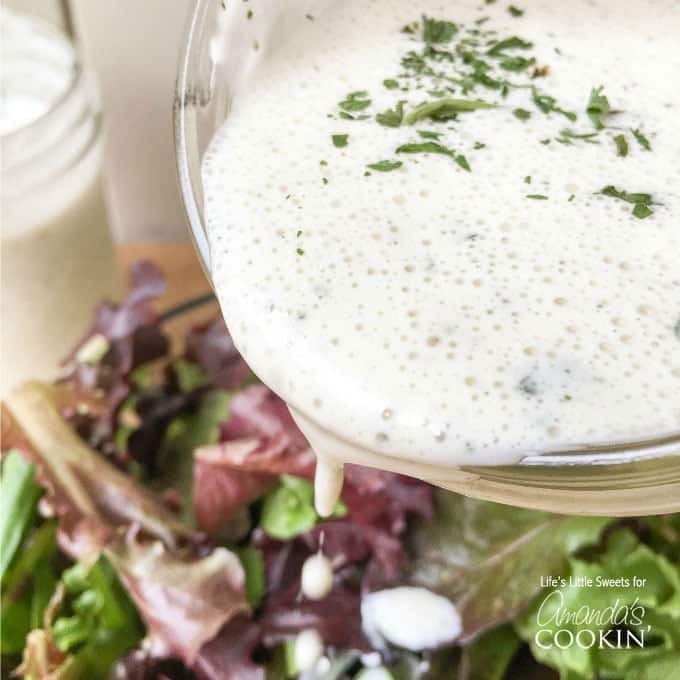 I hope you enjoy this Buttermilk Ranch Dressing recipe as much as I have! 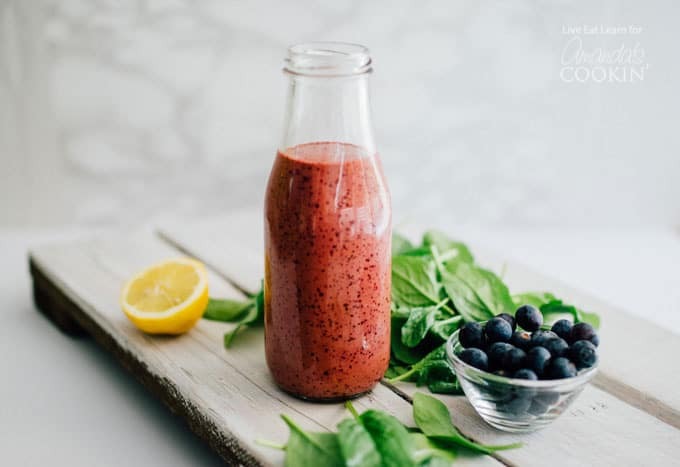 This Blueberry Vinaigrette dressing is a show-stopper. It not only looks amazing, it tastes amazing! If you love ranch dressing you’ll probably adore this Skinny French Onion Dip too. It’s perfect for a guilt free snack! 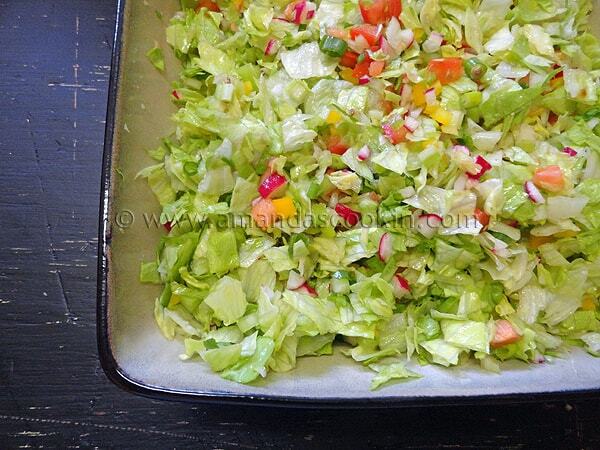 Eat a refreshing lunch with this simple to make chopped salad. Easy to eat in public, no large pieces hitting your chin! 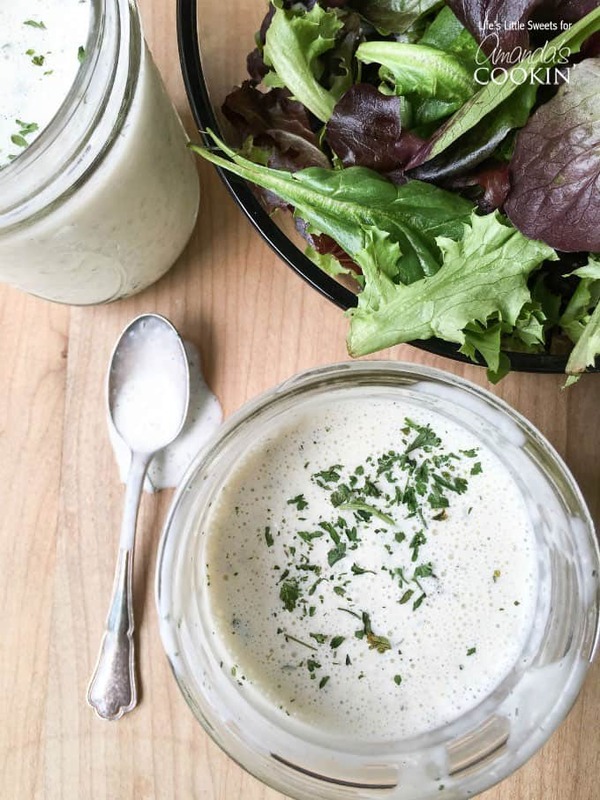 Another favorite dressing is this Creamy Dill Dressing. 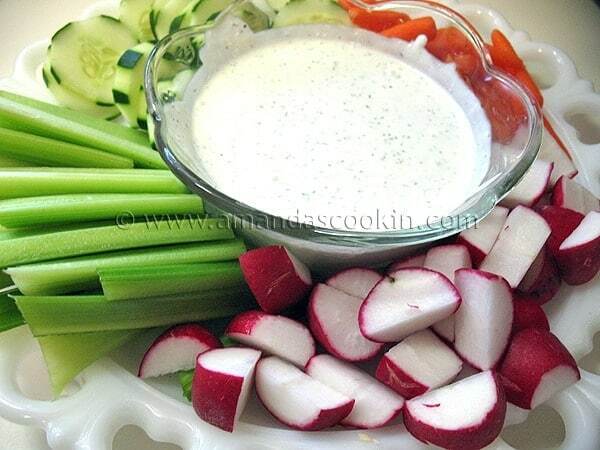 Again, like the ranch dressing it’s perfect for salads and for dipping. Put wet ingredients into your blender and sprinkle your dry ingredients on top. Blend until combined, stopping to scrape down any dry ingredients that might have stuck to the sides, if necessary. Pour dressing into a mason jar with a lid or similar airtight container. Enjoy right away if you prefer or for best results, store in the refrigerator overnight (or at least 4+ hours) to allow to thicken. I love this dressing, but it always turns out too runny for me. Is there any addition that would thicken it a but? Thanks for sharing this recipe. 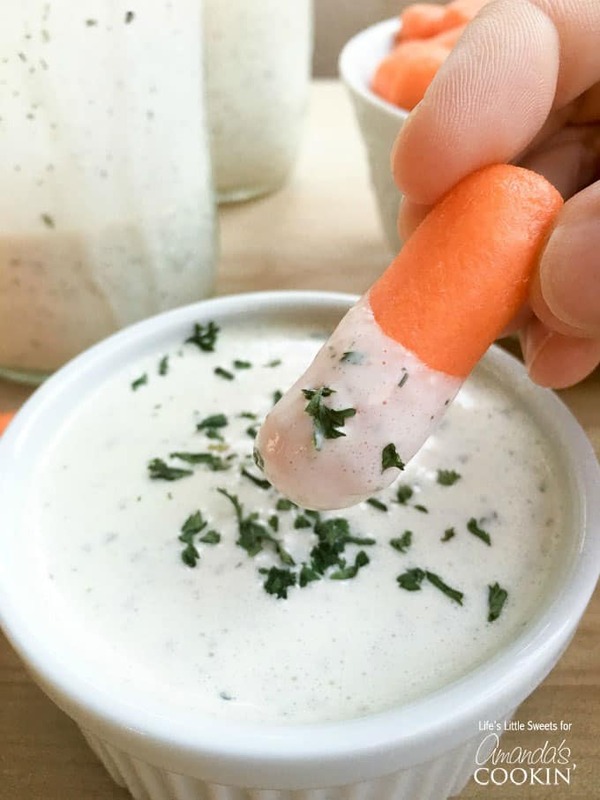 I looovveee ranch dressing and can’t wait to try this recipe. I do have a question. How long will this keep in the refridgerator if not consumed in a day or two? Hi Frankie! Because there are several ingredients used in this recipe, you will want to go by the expiration date of the earliest expiring product. So for example, if the earliest thing to expire is your mayo in 2 months, use that as your expiration date.